I grew up in a family of dentists who have inspired me throughout my life. As a high schooler, I spent a lot of time helping my mother at her dental office. I looked on as she improved her patient’s health and livelihood through her work, and soon I had no question that I wanted to go into science and medicine, as well. After graduating from Temple University School of Dentistry, I joined the family practice and, years later, now run it as my own. Through collaboration with my mother and furthering my skills base with continuing education courses every 3­-4 weeks, I continue to learn and grow as a medical professional. I’m constantly excited about all of the changes, improvements, and new technologies coming to dentistry because they allow me to provide even better care to my patients. I treat a wide range of patients with varying professions and dental health goals at my practice. My ability to speak Tagalog, Fukienese, Mandarin, Spanish, and English allows me to connect with an even larger population in the Bay Area and run one of the most diverse practices in the city. I always take the time to educate my patients on preventative dentistry and overall health, putting the focus on health care rather than disease care. I am proud to offer a full range of services to my patients, so they can expect the same top­notch care for both their check­up cleanings and more specialized wisdom tooth extractions. I pride myself and the care I provide on the fact that many of my patients refer their loved ones to me for my compassionate, honest, and approachable attitude. My practice grows naturally through these word­of­mouth references and it’s great to meet new people who were referred to me by happy patients ­ it’s how I know I’m making patients happy. Whether my patients struggling with their dental health, their romantic life, or their finances, I truly listen and care about my patients’ lives. My patients are my friends and family. Being able to empathize with a patient and stand in their shoes allows me to communicate better and understand what they’re going though. If I’m not at work, I’m out enjoying my free time with my family. I also enjoy taking care of my own health and having fun at the same time. I play tennis and love mountain biking, skiing, and coaching my two boys’ soccer and basketball teams. Dr. Chua learned a lot about dentistry by watching his mom run the family practice he now manages. 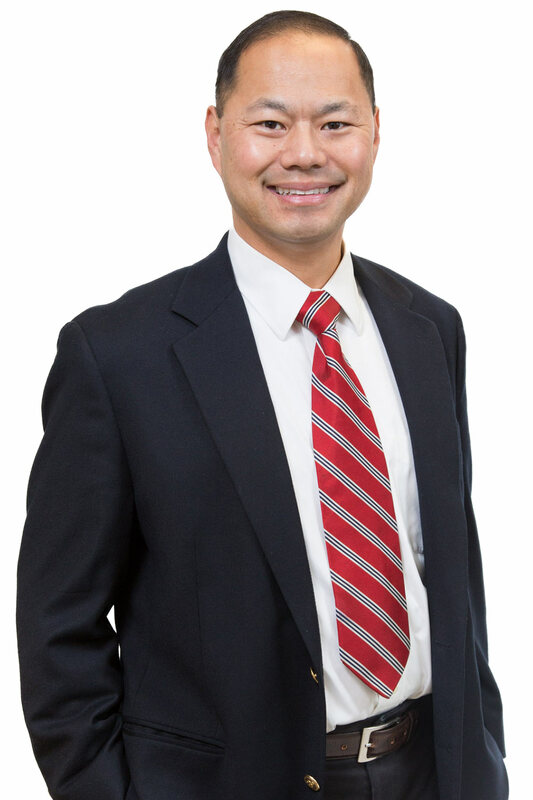 Beyond that his undergraduate years at UC Santa Cruz and his four years at Temple University’s School of Dentistry prepared him well to take exceptional care of his patients.